On Thursday, Environmental Protection Agency Chief Scott Pruitt delivered a bonkers speech at the Harvey coal mine in Pennsylvania celebrating an EPA that would scale back environmental regulations and put coal miners back to work. He further declared that the “war” on coal was now over. If Pruitt wanted to celebrate the idea that coal miners would be going back to work now, he chose a terrible location for making this point. 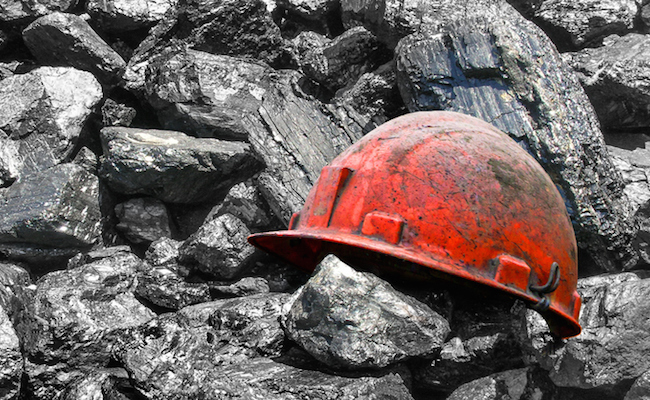 The company, Consol, has been one of the country’s largest coal producers since it began back in 1864. Within the past few years, however, it sold all of its West Virginia coal mines as part of its “coal divestment strategy.” To accomplish that, it paid a fellow company $44 million just to take over two of the mines. The mine Pruitt spoke from is actually Consol’s last coal property – and don’t count on it sticking around much longer. Earlier this year, the company was seeking buyers for the mine to finally get out of the business entirely. By the CEO’s own admission, Trump’s pledge to ditch coal regulations could help the coal industry, but not nearly enough to make it worth the company’s effort to keep the businesses alive. Instead, Consol is pursuing economic opportunities related to natural gas. What a façade. That’s not the only reason Pruitt’s choice of location for this speech was a bad one. Just last year, this mine was fined $3 million for leaking mining waste into bodies of water that lead to the Ohio River. Thanks to the EPA’s Clean Water Act regulations, the agency had the ability to recoup money from Consol Energy to help clean that up and deter this and other mining companies from doing the same. By standing in this location, Pruitt is accidentally reminding people that the EPA – at least under previous leadership – has an important job to do to keep Americans safe. Regulations work… when you keep them on the books. Ah, so in fact, the EPA exists to create and enforce regulations that protect people’s safety. Someone really ought to tell Pruitt! In his speech, Pruitt equated ending regulations with boosting the economy and creating jobs. However, just last month, the Institute for Policy Integrity released a study (which is worth sharing as often as possible) that shows environmental regulations have essentially no effect on the employment rate in the long term. In the short term, yes, the job numbers can fluctuate when regulations are passed, but within a couple years, an equivalent number of jobs shift to a more environmentally friendly sector to fill the gap. The report also finds the same to be true in reverse. When regulations are repealed, you’ll see clean energy jobs switching back over to non-renewable resources, but you’re not magically creating more jobs. At the same time Pruitt is gleefully stripping regulations that leave Americans less safe thanks to unclean air, water and land, he’s also seeking to beef up his personal security. Pruitt has requested to more than double the amount of security detail for the head of the EPA, which would for the first time ever give the EPA admin 24/7 bodyguard coverage. The EPA’s budget is being slashed all over, but it looks like more money will be allocated to providing security for the EPA’s top dog. According to Myron Ebell, who was the EPA head during the Trump transition, Pruitt warrants extra protection because of “hostility within the agency.” Basically, he’s saying that EPA staffers are so displeased with their boss that he’s worried they might attack him. Sounds like he must be doing a great job! Everything that's wrong is that he opened his mouth. Still have to keep coal going until a reliable energy source is found. Currently we only have 3 reliable energy sources Coal, Nuclear and Hydroelectric. wind is only 50% reliable and solar is around 14%. Natural Gas is just plainly too expensive for electric generation. He was the worst possible choice for the job. Trump had a ulterior motive to appoint a man like Scott Pruitt. He wanted someone who would role back all the necessary regulations put in place by the previous government so that the super-rich owners of Big Oil, Big Coal and Big Gas would multiply their trillion dollar profits ten-fold. Do you really think this man Trump would like to see his country great again? All the talk of making 'America great again' by this nitwit was a big, bloody lie. And yet many Americans keep backing Trump. What's wrong with you guys? This appointment was done on purpose to pull back regulations so Trump interests can make more money. Pruitt doesn't get it any more than Trump does.